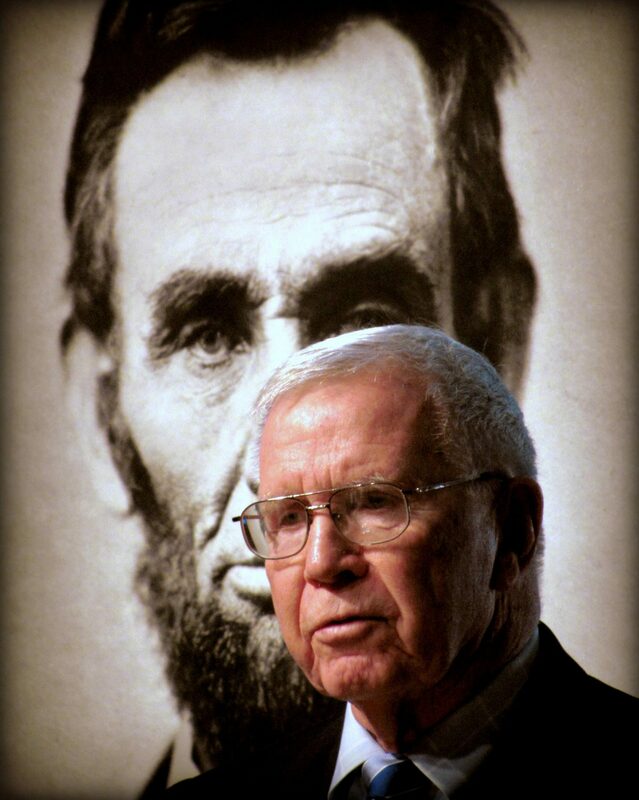 Ian Rolland, the long-time Fort Wayne business leader who died July 1, had a long-standing respect for Abraham Lincoln. He spent a lifetime preserving the legacy of our 16th President. As Lincoln National’s CEO, Ian was responsible for moving the company’s world-famous Lincoln collection out of the “basement” of the corporate headquarters to create The Lincoln Museum, which opened to the public in 1995. When the museum closed in 2008, a nationwide search was conducted to find a location for the Lincoln Financial Foundation Collection. Under Ian’s leadership, the State of Indiana submitted the winning proposal and the $20 million collection was donated to the State of Indiana. The three-dimensional artifacts are now preserved at the Indiana State Museum, and the letters, photographs and over 16,000 books are housed at the Allen County Public Library in Fort Wayne, Indiana. The initial success having been achieved, Ian chaired a statewide capital campaign which raised $9.5 million to provide immediate “moving expenses,” capital for the first four years of operation, and an endowment which would provide long-term financial stability for the preservation of this significant collection. Ian then served as vice president of the Friends of the Lincoln Collection of Indiana, the collection’s support group, until his death on July 1, 2017. Ian Rolland’s generous support for research, acquisitions, and public programs in Fort Wayne did so much to carry Lincoln scholarship into the new century. His commitment to Lincoln studies helped secure Indiana’s enduring position as a center for Lincoln and Lincolniana. He was a stellar example of a sadly vanishing breed: a corporate executive with a deep passion for community and history. The Lincoln field was fortunate indeed to have held his interest so strongly and for so long. Thank you, Mr. Rolland. by Harold Holzer, Jonathan F. Fanton Director of the Roosevelt House Public Policy Institute at Hunter College.